A very fun hobby that many senior citizens can enjoy in the comfort of home is gardening. It can provide your senior loved ones a sense of accomplishment and productivity. But this is not only a hobby that is fulfilling, it is also an activity that can be done with the whole family. Growing a garden together is an amazing experience. If your dad or granddad loved to go fishing when he was young, then you may want to consider taking him out again. This is a very relaxing and easy activity to do. It can be exciting when you catch a fish! Fishing is also a good chance to bond with your loved ones and form new memories together. 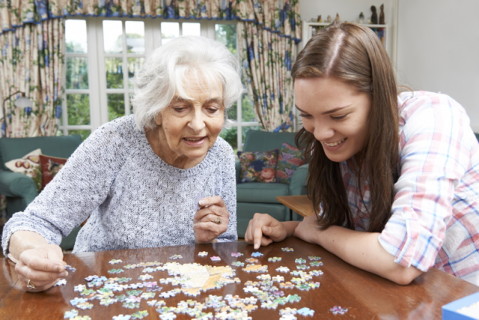 If your senior loved ones have trouble getting around, then you may want to consider an activity that you can do at their convenience such as a board game. There are many different kinds of board games out there, take chess as an example. These games are very fun and they can also help exercise and maintain the health of your senior loved ones. That is just a few of the many different kinds of activities you can do with your senior loved ones. Be creative and have fun! Americare Home Solutions is a provider of Non-Medical Home Care in Dover, Delaware that can also help your loved ones through In-Home Senior Care so they have much more time and energy to do enjoyable things with you and the family. If you are interested in finding out more about fun activities or about our exceptional services for Home Care in Delaware, please feel free to visit our website www.americarehomesolutions.com. We are dedicated to providing your loved one with the personalized home care services they need to live a much more fulfilling and independent life at home. This entry was posted in Home care, Senior Home Care and tagged board games, fishing, fun activities, gardening, improve health, reduces stress. Bookmark the permalink.